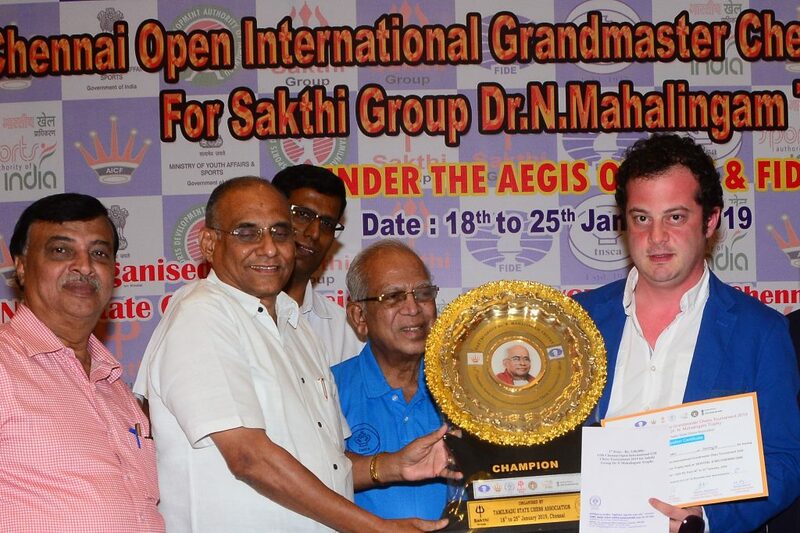 GM Pantsulaia Levan (Georgia) with 8.5 points emerged the Champion after the tenth and final round in the 11th Chennai Open International Grandmaster Chess tournament 2019 for Sakthi Group Dr N Mahalingam Trophy at Novotel IBIS OMR Hotel, Sholinganallur, Chennai today. In the crucial final round, Pantsulaia drew with top seed GM Predke Alexandr of Russia, moving to 8.5 points. The draw propelled the Georgian to clear first. This follows Pantsulaia’s title triumph at Delhi Open last fortnight, giving him back-to-back titles, a great start for 2019. The Georgian would take home the winner’s cheque of Rs. 3,00,000 (Rupees Three lakhs only) along with the glittering Sakthi Group Dr N Mahalingam Trophy. Sharing the second spot with 8.0 points were five Grandmasters viz., Popov Ivan (Russia), Aleksandrov Aleksej (Belarus), Paichadze Luka (Georgia), Megaranto Susanto (Indonesia) and Rozum Ivan (Russia). The top seeds had their say in the final round, as all the decisive games in the top ten boards went in favor of the higher rated player. 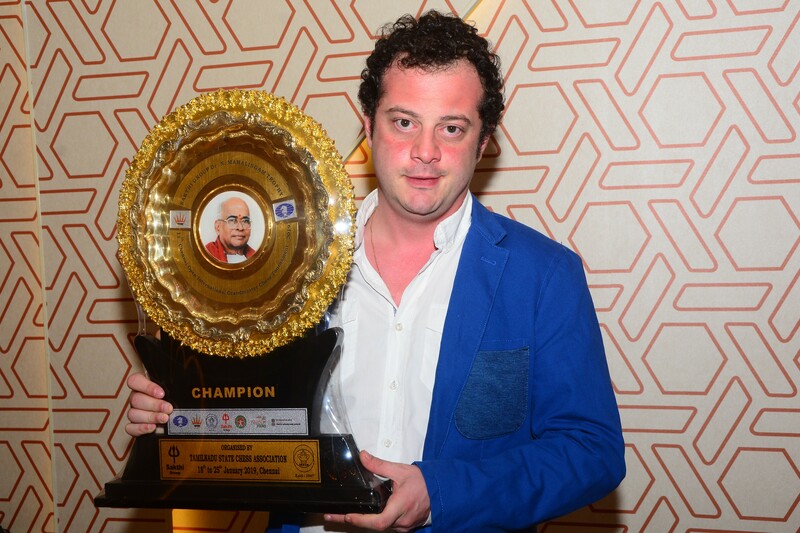 The 15 lakh prize money tournament came to a glittering end, as the trophies and cash prizes were handed over to he winners’ by the Chief Guest International Master Manuel Aaron. 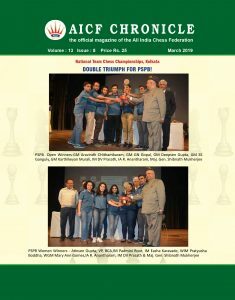 Present in the dais were Shri D V Sundar, Vice President, FIDE, Shri Stephen Balasamy P, Gen. Secretary, Tamil Nadu State Chess Association, International Arbiter R Anantharam and Chief Arbiter Manjunatha M.
Rk. SNo Name FED Rtg Pts. For Players and arbiters registration queries. Please contact : 011-23561809 Time : 11: 00 A..M. to 05:00.P.M.